Our Club was formed in 1948, so this year we are celebrating our 70th anniversary. Our Christmas social evening on the 18th December will be extra special to celebrate this occasion. The Club will provide cake, wine and food, there will also be a special raffle and a competition with a 70th based theme. Our yearly exhibition at the town hall was the best attended in my memory and for the first time broke even. Thank you to everyone involved in the day and to all members who submitted prints. We certainly generated a lot of interest during the Wetherby Festival and hope to have attracted a few new members. 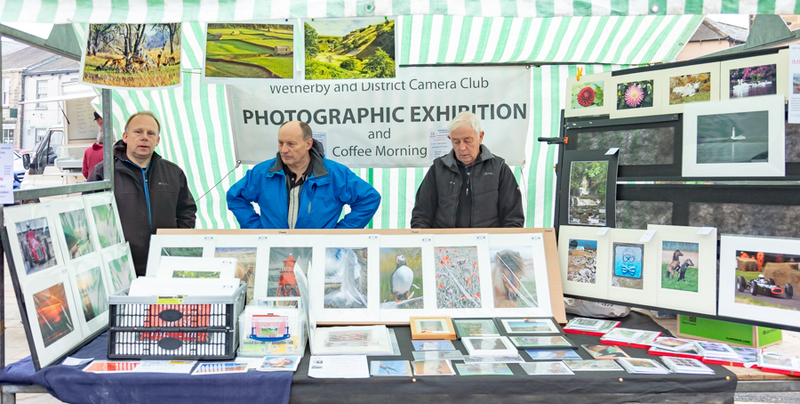 We also had a stall at the Wetherby Thursday market for the first time to publicise the club. Since the season started we’ve already had a practical night out and review, 3 visiting lecturers, judging of Ingram Open and a portfolio night. 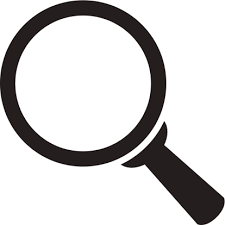 Remember that it is at this time of the year we start organising the program for next season, so if you have any good ideas for lecturers or activities please pass them on to a committee member. Don’t forget to bring your camera & tripod. If you have a light source (especially a LED one) bring it a long. Something interesting for the table top photography. 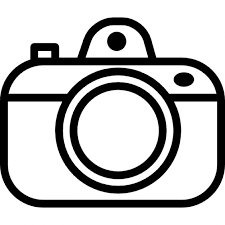 There will also be a “bring and buy” photographic equipment sale, if you have anything surplus to requirements, please bring it with you. You get 90% of any sale and the club takes 10%. Entries for Ingram 2, Portrait and Figure Studies are due this evening. Tonight we will be reviewing images taken in the previous weeks table top display practical evening. Please bring along up to 5 DPIs you took on the evening. George and Steve will be leading the evening and we hope to have some lively discussion on the results club members got. Judge - Frank Lodge CPAGB is a member of Dewsbury Photographic Group. Erica has been an active member of Sheffield Photographic Society since 1998. She is also a member of Gamma, a long established group of photographers based in the North of England. The talk is centred around fitting photography in and around a busy life by seeing the photographic potential in whatever opportunities come my way. I try and use an open minded, creative and artistic approach to photography (both in camera and using digital manipulation) with the aim of producing something a bit different. Please note entries for the Les Smith and Raffles trophies are required tonight. Andrew Foley has been a photographer since 1990. His images have appeared in national and international exhibitions. His work has also been published in photographic magazines, yearbooks and various newspapers. He is a former chairman of GAMMA Photoforum and an Associate of the Royal Photographic Society. He has lectured to photographic organisations throughout the country. View the full 2018-19 program. There are two competition entries this month. Ingram 2 Portrait and Figure Studies, 6th November. Members are permitted to submit up to 2 entries in each of “colour print”, “black & white print” and PDI. Please remember our projector is using a resolution of 1600 x 1200 and remember to resize your images to one of those dimensions. Les Smith and Raffles Trophy’s entries are due in 27th November. The Les Smith Trophy is intended to create interest in the wonder of nature and to improve techniques in this branch of photography. A maximum of two projected images can be entered. Please see our new rules for a definition of nature. The Raffles Trophy is a parallel competition to the Sherburn Trophy and is for sets of three colour prints. In any set of three prints, each print must represent a different category selected from Pictorial, Portrait People and figure studies, sport action and photojournalism, architecture and general record or nature. Don’t forget, prints don’t have to be A3 mounted and in past years A4 mounted images have often done just as well. Finally, please find attached a You Tube video entitled "The Luxury of Light" by Jerry Ghionis, sponsored by B&H. It's very Informative!